On Oct. 24, several thousand high school seniors (and even some juniors!) 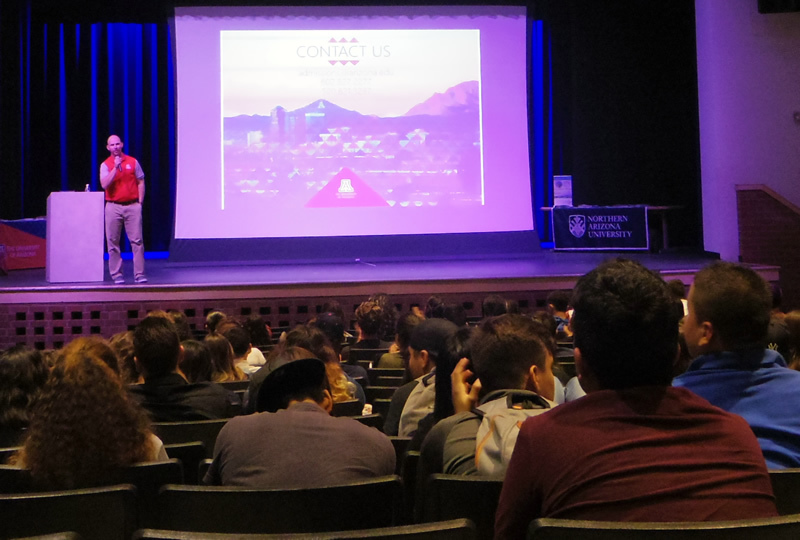 attended College Night, once again held at the Tucson Convention Center—a golden opportunity for our Southern Arizona near-high school graduates to be offered hundreds of collegiate choices and opportunities. 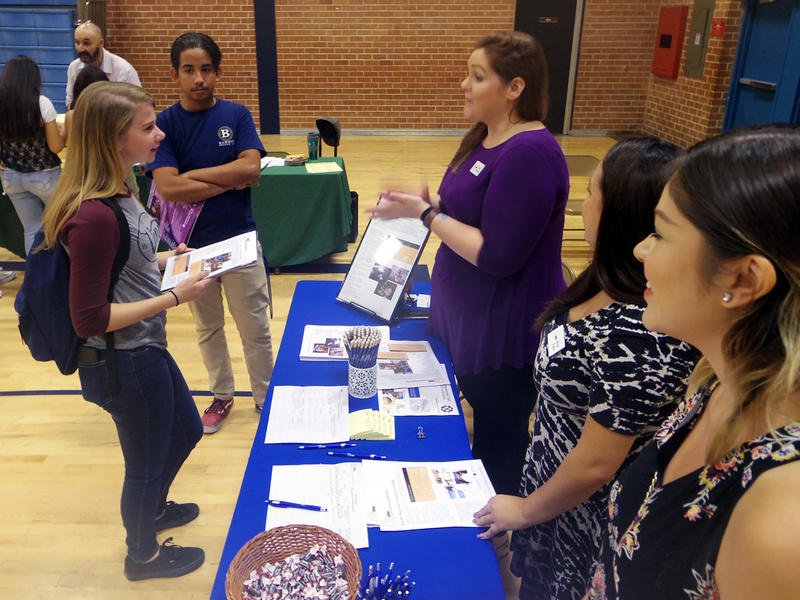 Nearly 50 of our Pueblo Warriors attended this two-hour evening event, giving students enough time to tour the booths for each college. There were nearly 200 colleges and universities represented at this event. 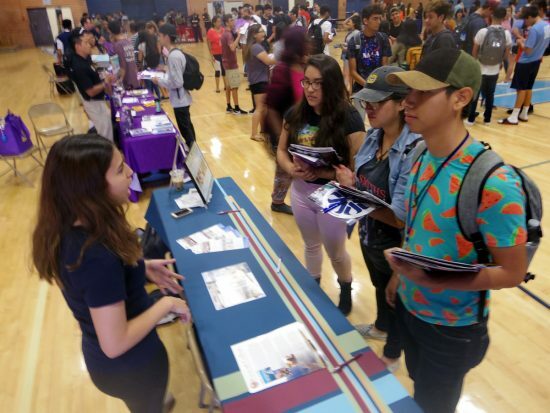 Senior Ashely Andrade said she enjoyed looking at the U of A booth—which offered her education for her career interest in nursing. 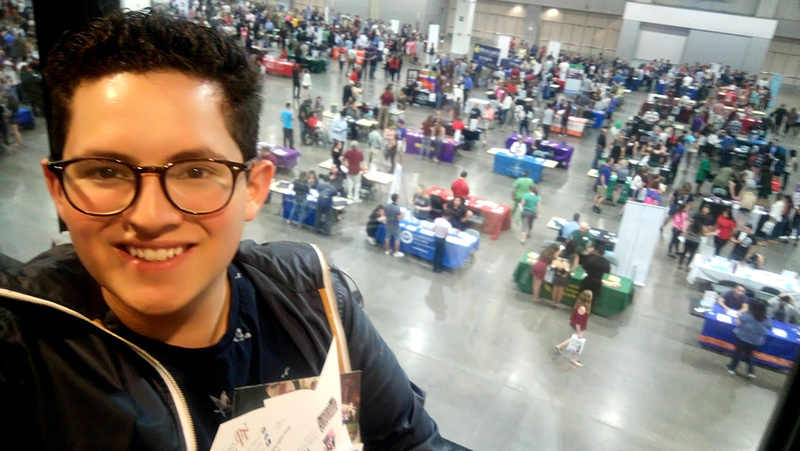 Senior Robert Marinez also enjoyed the U of A booth since it offered engineering. Seniors who have an idea of their future career have simplified their options based on what universities had to offer. 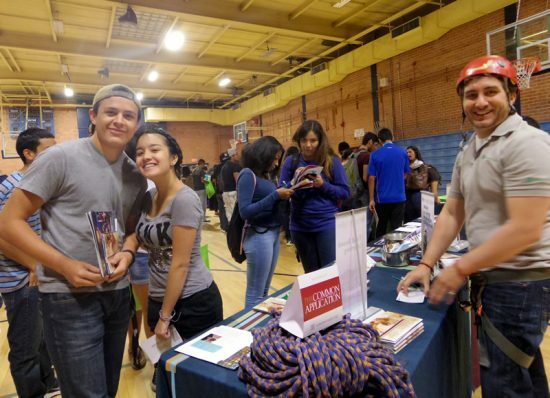 Senior Adela Garados said that she enjoyed speaking with multiple college and university booths. Plenty of high school juniors who attended College Night, as they are already becoming curious about their futures. With the arrival of many new faculty and staff members, Pueblo welcomes new College and Career support interventionist, Mr. Alejandro Menchaca, to the Warrior family. Born and raised in Los Angeles, Menchaca taught two years of Spanish before moving to Arizona approximately two years later, where he taught another five years of Spanish. However, despite leaving his high school job, he still wanted to continue work with secondary education students due to his passion for teaching. 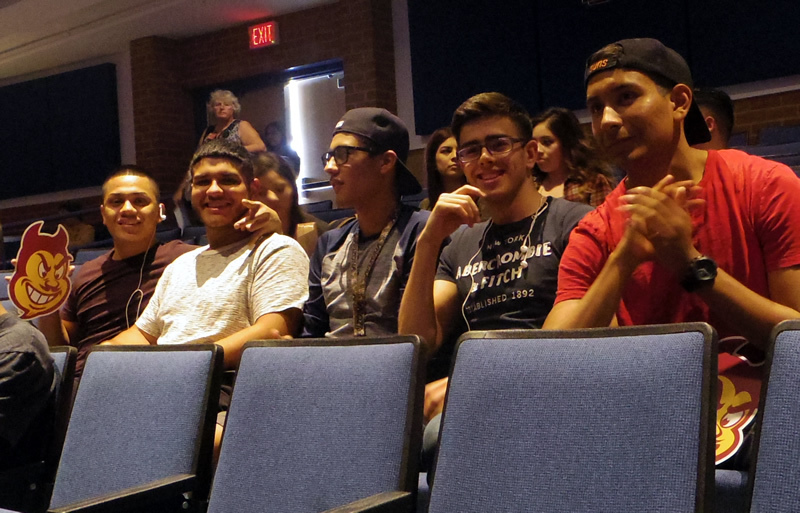 “Working in [high] schools with students is great because they are very optimistic and very energetic,” said Menchaca. 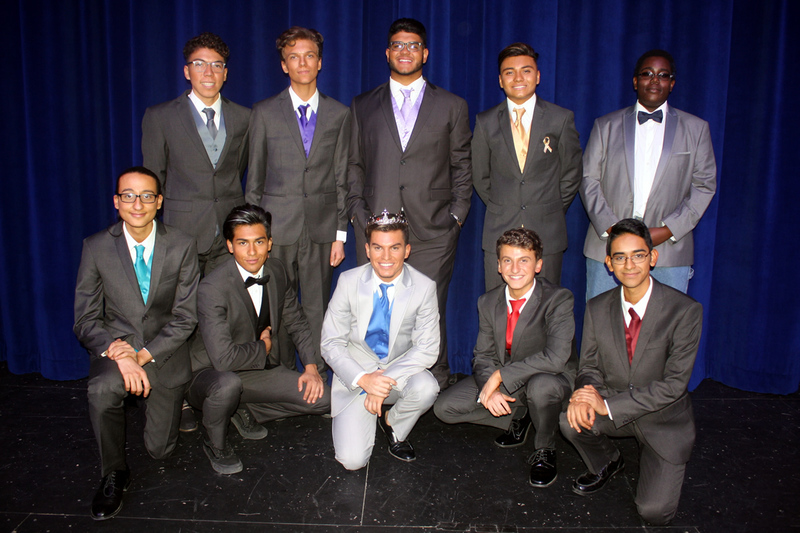 This year, Menchaca hopes to work closely with students, teachers, parents and the community to help with whatever he can. However, for now he has a lot of advice for our seniors. On Wednesday, September 14, 2016, Pueblo class of 2017 seniors attended this year’s first college fair during second period. Because of the block schedule, the senior class was divided into two sections so that students would have enough time to visit with various colleges and programs. 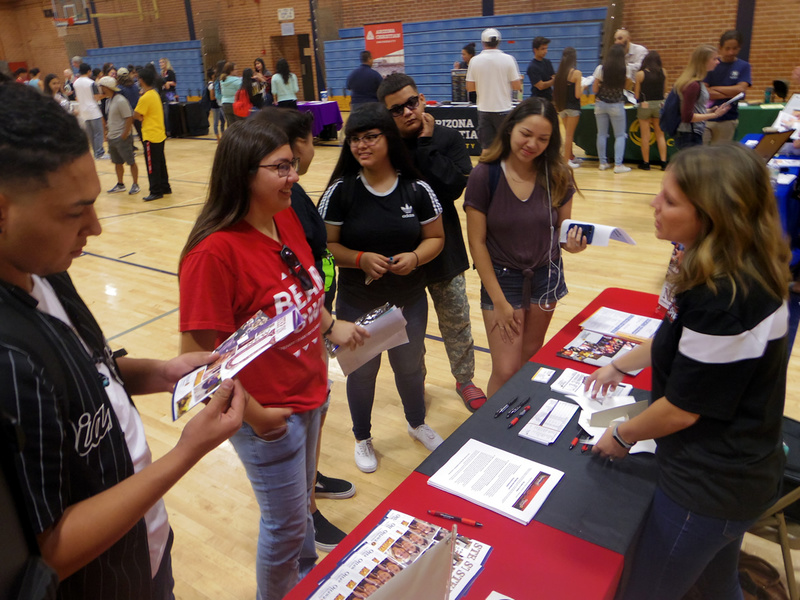 Many colleges were available to Pueblo seniors, including Arizona Christian University, Central Arizona College, New Mexico State College, Pima Community College, Universal Technical Institute and Prescott College. Several military branches were also present. Ms. Mandy McTavish, Pueblo’s new College and Career readiness coordinator, organized this event. McTavish added that she would like all seniors to attend Tucson College Night at the Tucson Convention Center on Tuesday, October 25, 2016, an event that hosts more than a hundred different colleges and universities from around the state and entire nation.